Deep down, Android is a fork of Linux, which is a desktop operating system that started out as entirely command prompt-based. For that reason, many system-level tasks can still be executed within a terminal emulator app. But visually speaking, the terminal apps that have been available to us up until this point were not up to snuff with the rest of the OS. 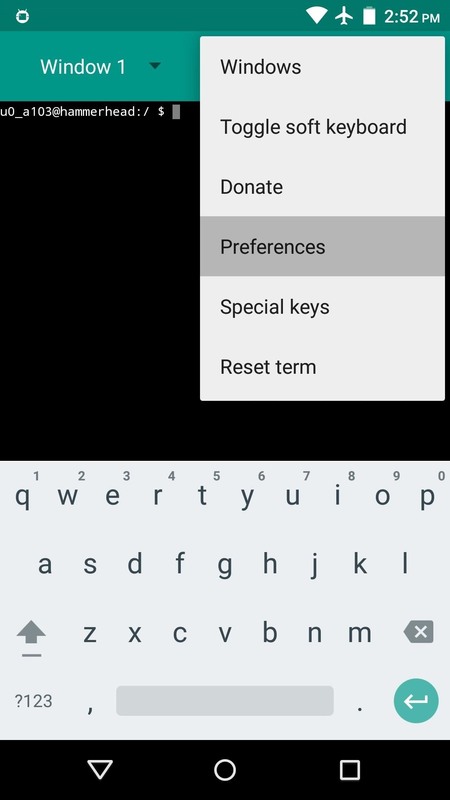 Recognizing this, developer Yaroslav Shevchuk took the most popular open-source terminal emulator, Terminal Emulator for Android, and gave it a huge makeover. This new app follows Lollipop's Material Design guidelines, so it should fit right in with the rest of your system. At the same time, it still functions just the same as the old staple app that it's based on, so it's as if Terminal Emulator for Android has finally been brought into the modern era. 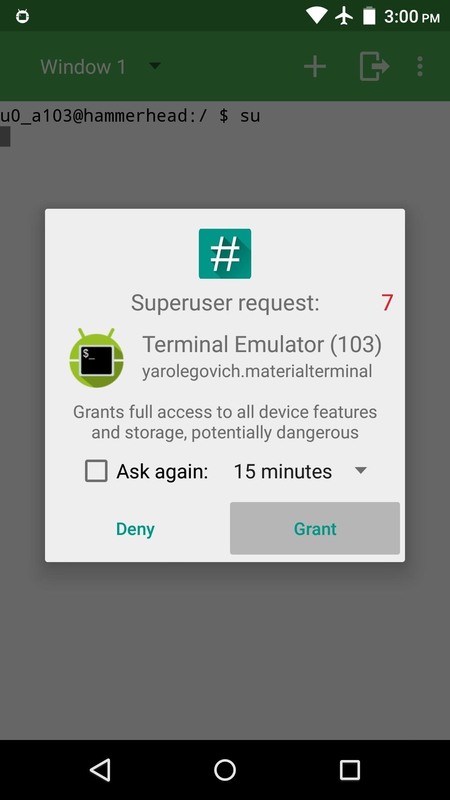 Shevchuk's app is called Material Terminal, and while it was available on the Google Play Store for free, the dev removed it as the app had some bugs with devices not running Lollipop. 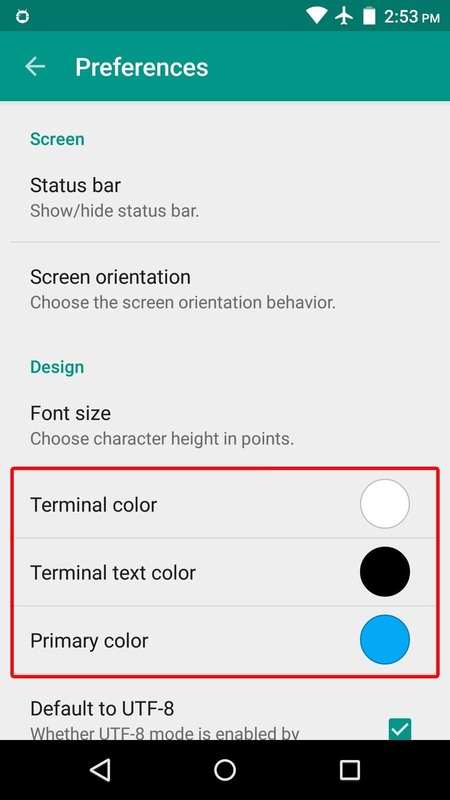 Additionally, Jack Palevich's original Terminal Emulator for Android app will be updated with Material Design in the coming months. 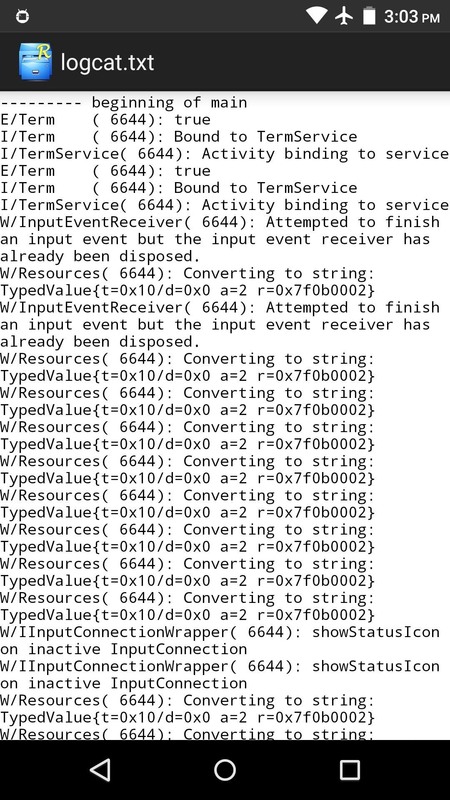 In the meantime, you can still download the Material Terminal APK directly from Shevchuk's thread. To install the APK, make sure you have "Unknown sources" checked in your Security settings. As soon as you launch Material Terminal, you'll notice that it's not the same old ugly interface from days past. Even still, you might want to put your own personal flair on your terminal app, so tap the three-dot menu button and go to "Preferences." From here, there are 3 main categories that you can theme. 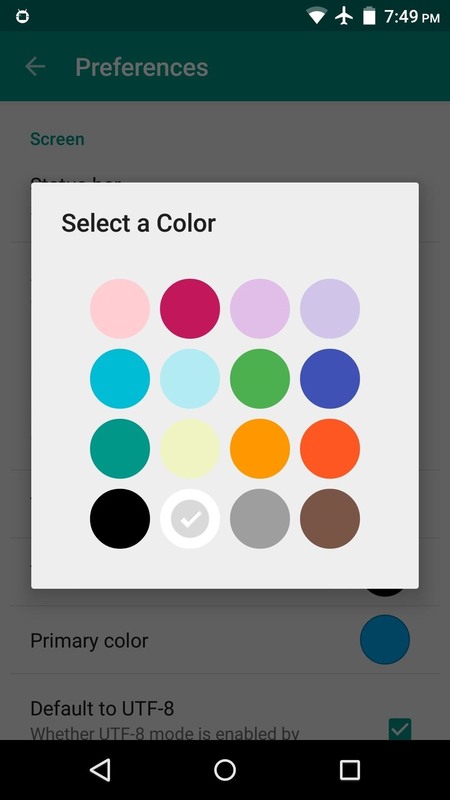 Tap one of the elements to see your color choices. You can theme it however you like, but make sure that the "Terminal color" and "Terminal text color" contrast with one another so that you can read the text. 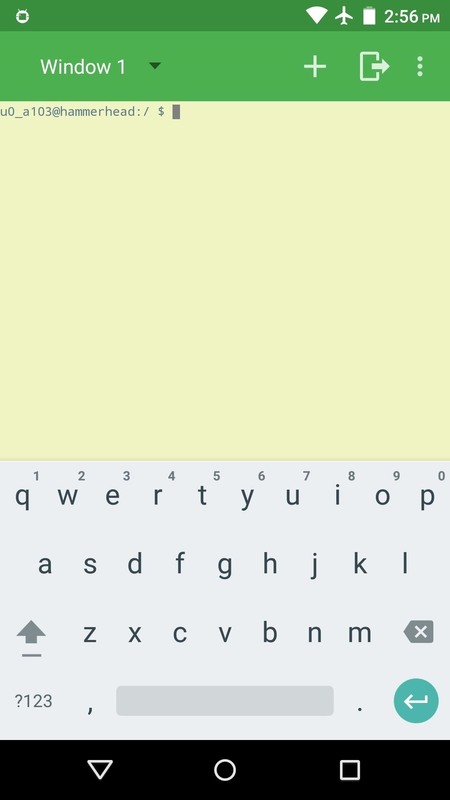 When you're done, you should now have a lively Material Design-themed command prompt. At its core, this app is no different than Jake Palevich's classic Terminal Emulator for Android. As such, all of the basic commands and functions that you're used to can still be executed. You should find the logcat file on the root of your SD card, so navigate over there and have a look. But if you're ready for some more advanced options, try requesting root access (if you're rooted, of course). Simply type "su" to do just that, then hit "Grant" on the popup. Now Material Terminal can execute root commands if need be. Speaking of, what are some of your favorite terminal commands for Android? Let us know in the comment section below, or drop us a line on Facebook, Google+, or Twitter. That is cool, but..i was wondering if it is possible to get different server-centres as..maybe apt-get or yum or dnf..etc..so is it possible?